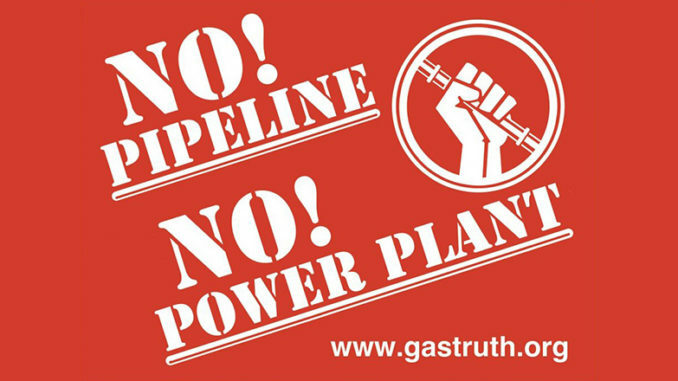 A controversial natural gas power plant proposed in Berks County, Pennsylvania, is raising new concerns in the wake of a court document filed by the company aiming to build the plant that states, “Recent analyses and surveys have demonstrated significant remaining contamination of PCBs and other hazardous substances at the site.” On November 21, Birdsboro Power LLC filed the suit against the federal government in an attempt to recover costs under sections of the Comprehensive Environmental Response, Compensation, and Liability Act of 1980, or CERCLA. The company reports that in 2016, a survey of the property found asbestos materials in 16 buildings, unspecified hazardous materials located throughout the site, PCBs and other unspecified contaminants at levels higher than state health standards, and PCB-, VOC-, and SVOC-laced water in sumps and pits at levels higher than state health standards. No mention of PCBs, asbestos, or any other contaminants on the site where construction would connect the pipeline to the power plant were made in FERC’s assessment. In fact, the Commission rebuffed issues raised during the phase of the project when the scope of the environmental review is determined, stating, “The Birdsboro Power Facility is not under the Commission’s jurisdiction; therefore, comments that question the need for the Birdsboro Power Facility are outside the scope of this EA and are not considered or evaluated further.” FERC’s refusal to consider the cumulative impacts of the pipelines they approve is nothing new, but one end of the pipeline under review this time would be constructed on the contaminated site. Since the 18th century, iron and steel were forged on the site in the small town of Birdsboro, named for the William Bird who built the first iron forges there. During World War II, the U. S. military contracted with the Birdsboro Steel Foundry and Machine Company to supply steel for the U.S. Navy and later to manufacture tanks for the U.S. Army. It was one of the places that helped build Sherman tanks. The company’s contract ended in 1975. Early on, the government had acquired the property, but an iteration of the company called Birdsboro Corp. continued to operate a commercial business on the property until 1988 when it filed for bankruptcy. Armorcast, L.P. owned the property from 1992 until it was sold to the company now known as Birdsboro Power, LLC. The company claims in its court filing that the contamination occurred during the period that the government owned the property. Environmental advocates trying to get a complete read on what contaminants remain on the site have been unsuccessful. The court filing provides the most complete record to date. In 2006, 2009, and 2011 local media reported on asbestos on the site, usually referring to clean up underway or completed. In June 2016, the Berks County Planning Commission referred to areas of concern that included “asbestos containing materials”. But in December 2016, a local television station reported that the demolition of the stacks on the site was being held up. According to a Notice of Violation issued by the DEP, no Asbestos Abatement and Demolition/Renovation Notification Form had been filed. The company was going to have to postpone demolition, that is, until the contractor in charge of bringing the stacks down told the DEP that two of the stacks had already been loaded with explosives, so the stacks came down the next day for safety reasons. In its response to the notice, the company said it did not file the required form because it did not believe the regulation applied to stacks due to the fact that stacks alone would not constitute a ‘facility’ and were proven to not contain asbestos containing materials, according to testing results they claimed to have. But that doesn’t square with the concerns raised by the county planners in June. The possibility of asbestos on the site did not deter the DEP from giving the company the air quality permits required for final approval of the power plant project. The agency is currently preparing to issue the water quality certifications and authorizations for the pipeline and other parts of the project. We still don’t have all the answers about what exactly is on that site, but we are getting a very clear picture of what the world was like before modern environmental protections were in place — an industrial site laden with PCBs and asbestos, just 200 feet from the nearest residence, where workers were exposed to a mercury spill at least once and countless other contaminants every day. These are not only the protections that the current administration is rolling back as fast as it can, but the ones that our regulators have tended to ignore far too much of the time, the ones they’re ignoring in Berks County right now.